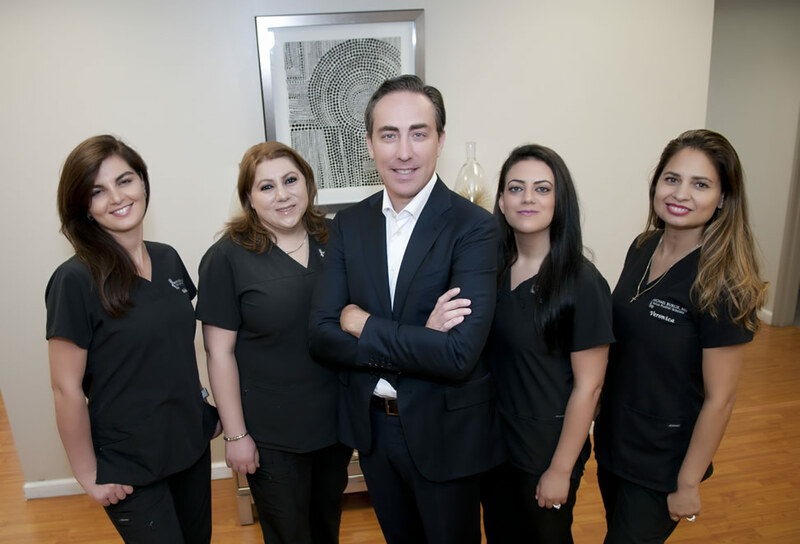 At the practice of Michael Bublik, MD, we constantly strive to maintain the highest standard of care for patients while incorporating the latest technologies and expertise in surgical and noninvasive cosmetic procedures. From your first call to our practice through all of your postoperative visits, you will be cared for by a patient-oriented team of experienced professionals whose focus is your satisfaction, safety and well being. Our number one priority is You. From the moment you contact our number or walk through the doors of our office, we want you to feel comfortable, cared for and valued. By incorporating the philosophy of “Holistic Facial Health,” Dr.Bublik understands that beauty, and a youthful and well-rested look, involves more than just surgery; non-surgical treatments including injectables such as fillers, BOTOX®, and chemical peels in conjunction with proper nutrition, vitamins, proper rest and quality skin care, are all part of an individualized plan to achieve your beauty goals. By adopting a holistic approach to facial health, we can address your needs and desired outcome, creating harmonious and lasting results. We share your concerns in wanting to avoid a surgical outcome that reflects a plastic, unnatural or identity-changing look. We share your goal in wanting to have an improved, natural-looking, more desirable and youthful version of you. Following surgery, you can expect your friends, acquaintances and colleagues to notice a more vital and youthful look without knowing exactly what you did; frequently they will comment on how rested and relaxed you look. At the practice of Dr. Michael Bublik, the science - and the art - of facial plastic surgery is centered on providing individualized care for our patients, combined with a highly detailed, thoughtfully considered, aesthetic surgical plan. By specifically customizing each surgery to address the needs and goals of each patient, Dr. Bublik can rejuvenate and enhance your beauty using state-of-the-art procedures that will result in beautiful, natural results that make you look better and feel more confident about your appearance. As surgical and non-surgical innovations are available, and techniques improve, many people are interested in quicker procedures that require a shorter recovery period, yet still achieve a lasting result. We strive to provide the highest level of excellence in caring for our patients and their needs. We are continuously evaluating new methods that have proven clinical and scientific validity to ensure that our patients will receive the most advanced and the highest quality approach to facial plastic surgery and skin aesthetics. You can be assured that when you choose to be treated by us, you have selected a practice and surgeon held to the highest standards of education and training. Your well being is always our primary concern, as we continue adhering to the highest ethical and medical standards. When choosing the right surgeon for your facial surgery, trust and expertise are everything. We provide honest, insightful advice about which procedures will be most beneficial to you, so that you can make intelligent and informed decisions about your facial surgery. When you entrust us with your facial health, we care for you as we would for our own family. It is our privilege to be a part of our patients' journey on their path to facial health and rejuvenation, and to share our patients' joy in the positive changes experienced in our safe, healthy environment. This website is intended to offer you a brief introduction to our practice. If you have further questions about plastic surgery or are interested to learn more, please contact us.